According to the "2010 Census CPH-T-6. American Indian and Alaska Native Tribes in the United States and Puerto Rico" 2013 release date, the Catawba Indian Nation consists of 3,370 members. The Catawba Indian Nation claims 2,800 members. Once considered one of the most powerful Southeastern Siouan-speaking tribes in the Carolina Piedmont, they lived along the Catawba River as one of the most powerful tribes in the south. The Catawba, also named the Iswa or “people of the river”, live in the Southeast United States, along the border of North Carolina near the city of Rock Hill, South Carolina. 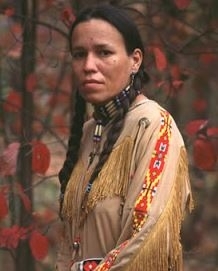 Present day Catawba Indian Nation is the only federally recognized tribe in South Carolina. The Catawba Indian Nation received federal recognition and $50 million for economic development, education, social services, and land purchases. The Catawba Indian Nation provides a host of services to the Catawba tribe members: to name a few; housing, education, sports, senior activities, etc. They also contribute to the surrounding community in a variety of ways including "through economic development, helping forward the goals of the county, and sharing the culture with others." Pray for Catawba Christians to grow in their faith and to share the message of Christ. Pray for Catawba to avoid the cultural temptation to be "in name only" followers of Christ. Pray that evangelical Catawba will hear the call of the Great Commission (Matthew 28:19-20) to cross cultures with the gospel message.